Be guided by your heart and creative energy source instead of your mind. Did you know there is a legion of angels awaiting to assist you! We will connect with the angelic realm and tune into the healing energies of Archangel Gabriel and Ariel. Learn how to invite the healing energies of the Archangels into your space any time to optimize your life. Connect to your own Angelic Guides. Learn how they can help you in your life. Exercise your intuition as you create your own angel. 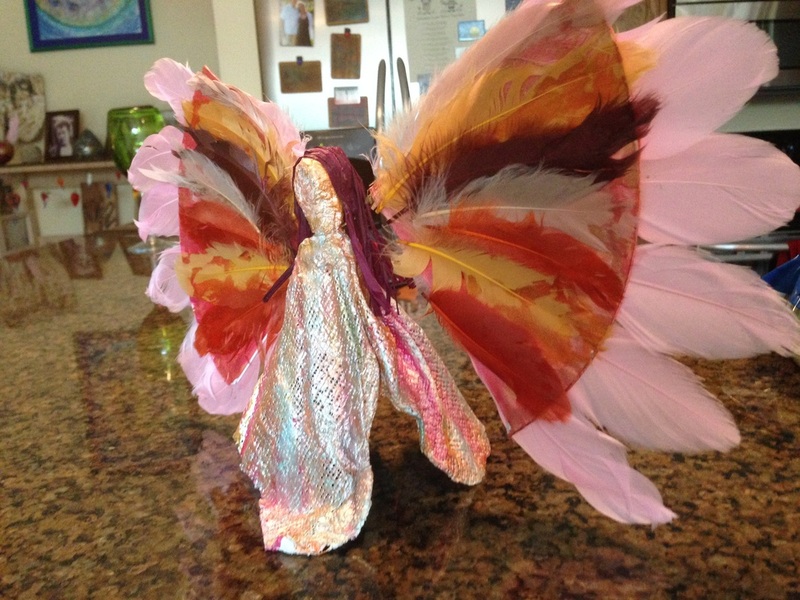 Listen to the messages that your angelic guide sends you as you paint and decorate. Reconnect to the Womb of Creation. In sacred space with the intention of reconnecting to the womb of creation. We will connect to divine light and journey into the darkness. The darkness is the space of the divine feminine. Creating a backdrop for the moon to shine brightly. The darkness is full of every potential - yet yields nothing yet. It is darkness that surrounds the baby in the womb, the seed in the ground, the caterpillar in the cocoon. It is in the darkness of our lives that we break down to discover our truth, our strength, finding the faith to become greater than what we were before. Anatomically the womb is located between the 1st and 2nd chakra. Exploring this area allows us to bring healing to our connection to family or tribe and our self-identity. Clearing this space allows us to stand firmly in our purpose and feel the infinite support of the universe. 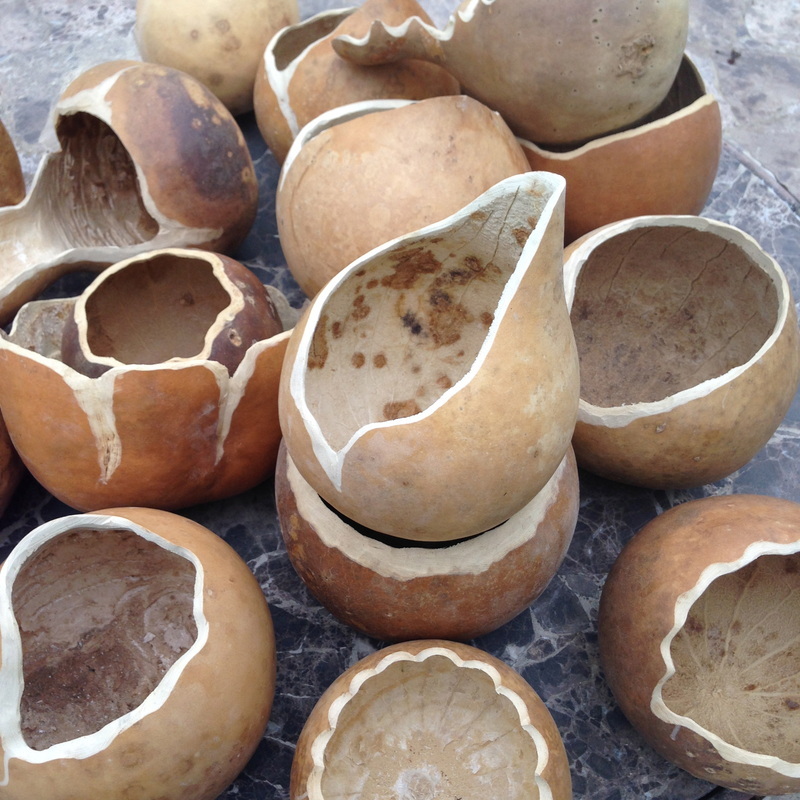 We will use gourds that have been cut and hollowed out to create altar bowls or manifestation vessels. They will be expressions of our inner journey and honor our divine feminine wisdom. 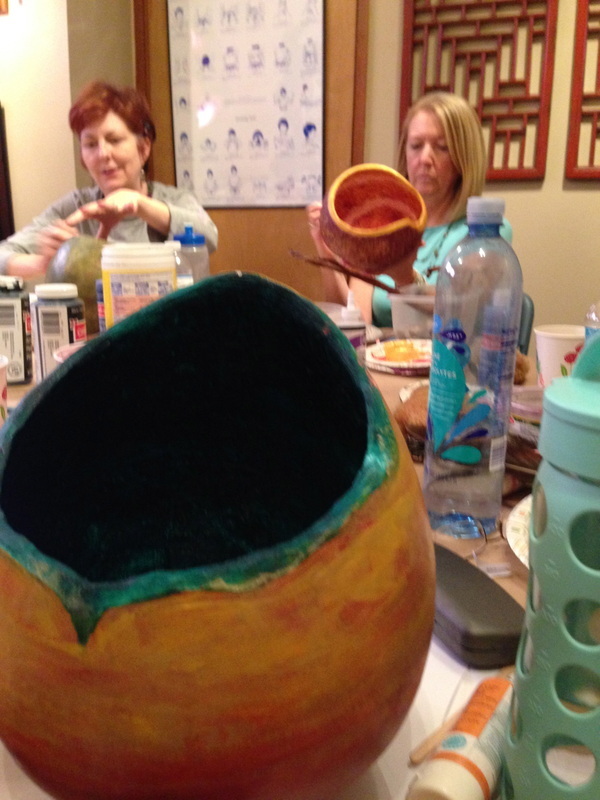 We will paint our bowls with acrylic paint. 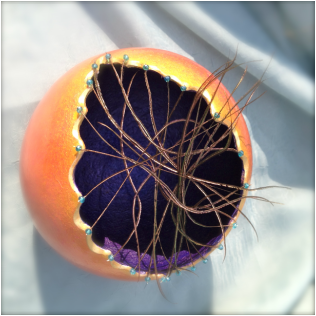 Limited supplies of other objects like shells, feathers, beads, ribbons yarns, and wire will be available to accent your art. 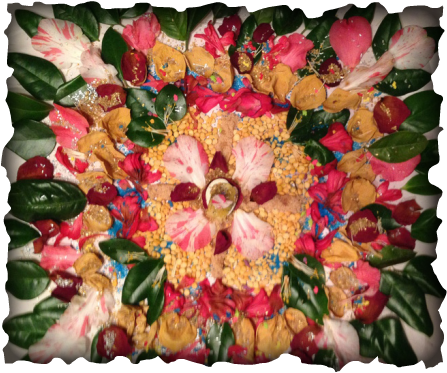 Some magazines will be available if you would like to incorporate decoupage into your design. 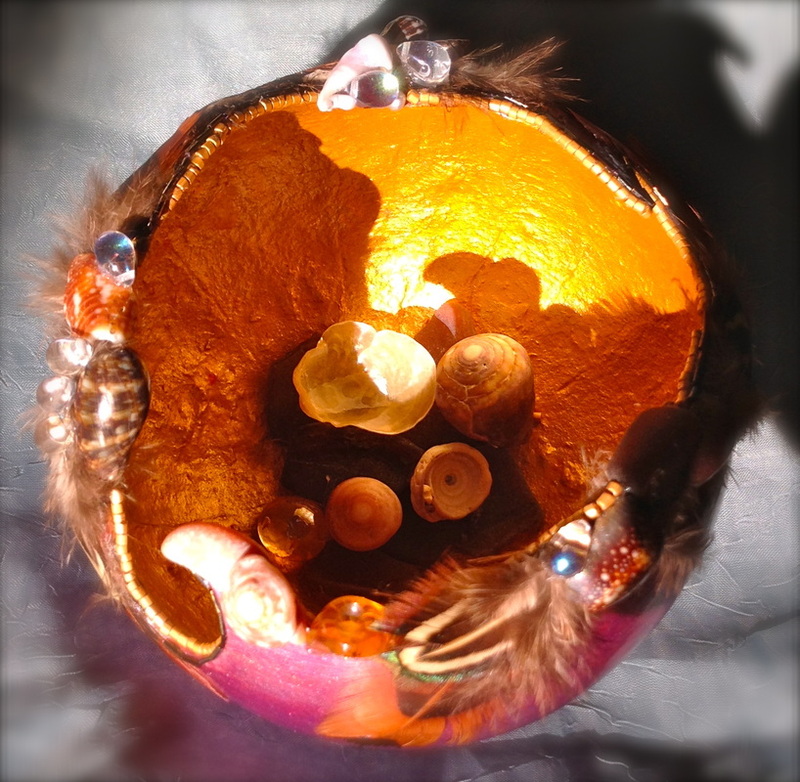 Participants are encouraged to bring items they would like to incorporate into their manifestation vessels. If there is anything that calls to you bring it… you may not use it – but you will have the option. The 13th Munay Ki Rite of the Womb will be given. This transmission clears your womb. 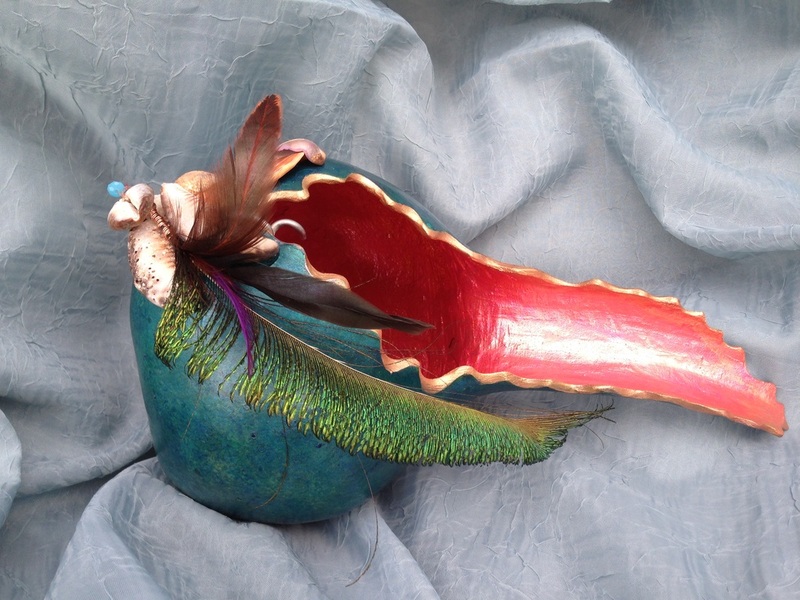 It connects your womb energetically to the womb of mother earth. If you are a woman you will have everything you need to receive this rite – regardless of any surgical procedures you may have endured. The wombs we are cleansing and connecting are energetic – not physical. This connection will enable you to shed your pain, your anxiety, your fear to the earth so that you may walk on in joy, love, and peace. 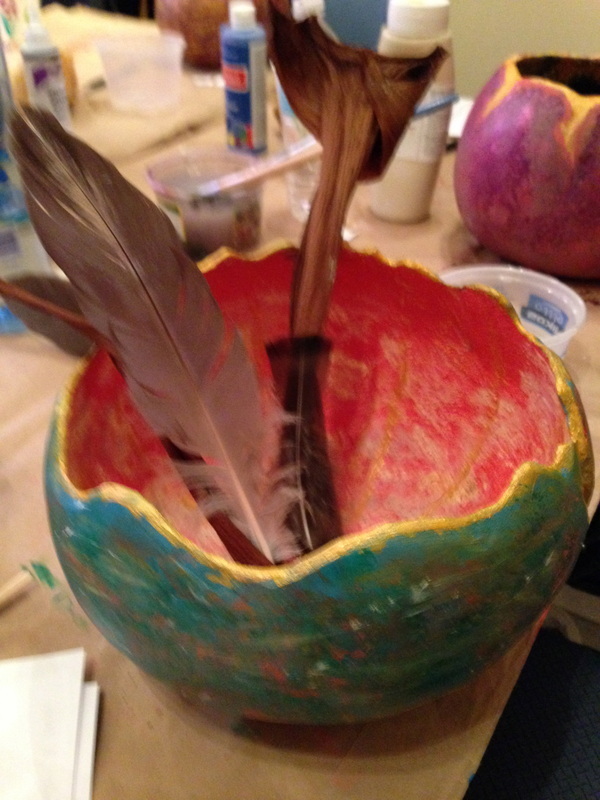 We will sit in sacred circle and honor each participant and their creation. Explore this dark, feminine space. Nurture the seeds of potential that have laid dormant within you for years. Release limiting beliefs that no longer serve you. Practice being guided by your sacred center of intuition. Discover being part of a world that is connected to divine intelligence. Wear clothes that you are happy painting in – acrylics do stain clothing. Bring a light lunch or a snack to share. Remember to bring any shells, crystals or items you want to add on to your manifestation vessel. and her courage to bring this rite to us from the jungle. 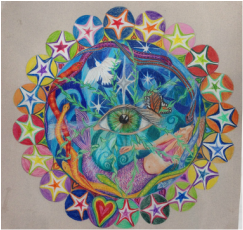 You do not need to know how to paint or draw to uncover unconscious messages and create beauty to empower your life. 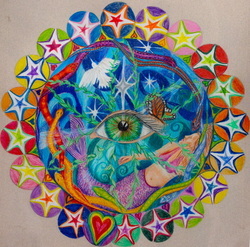 Mandalas and sacred geometry raise the vibration of the space they are in. 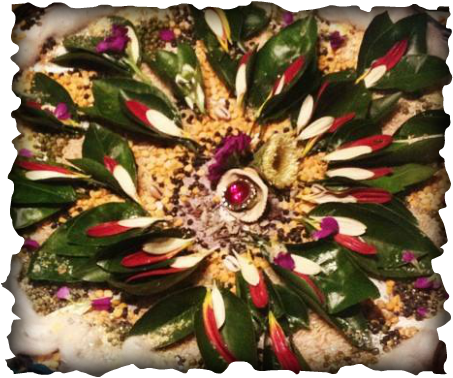 Use a mandala to manifest an intention for your family or business. I create the line drawing and paint the background. 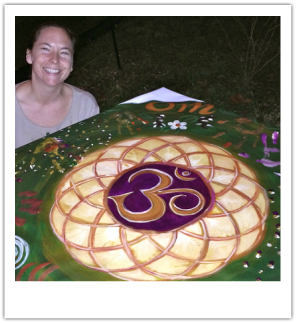 Gather your friends, family and loved ones to participate in a mindful and fun painting process and have their vibration become part of your art. · Have powerful symbols revealed to you for healing and manifestation work. Let go of what no longer serves you. 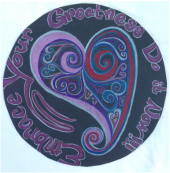 Set your intention and create a mandala made with your prayers. Release your prayers. Let go and fly. Life comes with it's ups and downs. A despacho and fire ceremony is a perfect accent to celebrate the highs in our lives and give gratitude for your abundance. When we are at our lower points a despacho is a great way to bring balance back into your life, relationships, business and projects. Release what is not serving you and invite in to your life what you truly desire. A despacho is a prayer bundle put together by a shaman who works with spirit to release limitations and deliver our prayers and intentions to the higher angelic realms. This ceremony can be done for an individual or a group.